Fate/status: Not sailing, under restoration by owner. 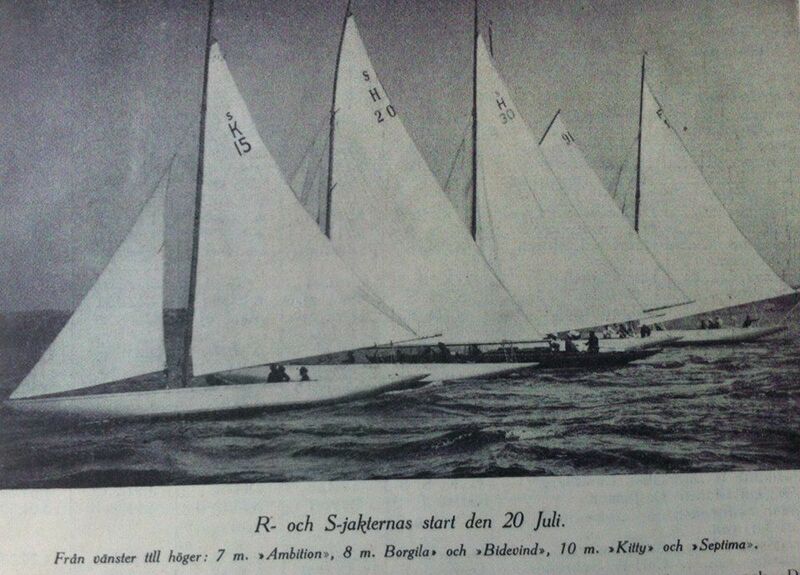 1972 Per Gotaas, Oslo "Miranda"
In 1917 Scandinavian Sailing Federation (SSF) decided to move the Kattegat Cup to the new 8mS Class. 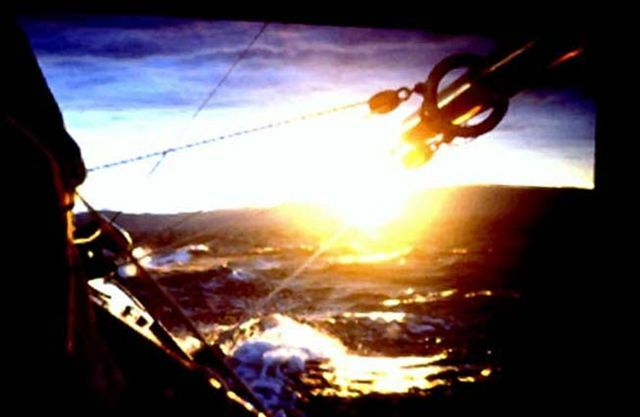 Rules laid down for the Kattegat Cup stated all competing yachts to be designed and constructed in the country they represent. In 1918 Mr. H.Haraldsen, Skien, Norway ordered an 8mS yacht with G.R.Liljegren in Gothenburg, Sweden based upon design by C.O.Liljegren, Sweden. It was mutual understanding that the yacht should represent GKSS, Sweden in the 1918 Kattegat Cup races. 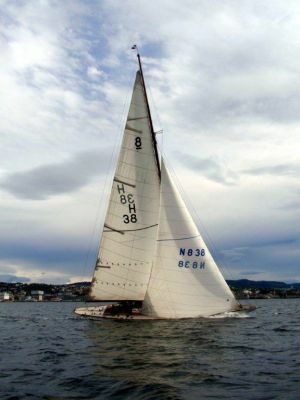 She was given the name “Borgila” and racing sail no. sH20. Ref; Seilas yachting magazine no 6 of March 3rd 1918, reports on page 47 that shipowner H. Haraldsen,Skien has under construction in Gothenburg, one 8mS yacht designed by C.O.Liljegren. However, she did not start in the Kattegat Cup 1918. Contenders where sH 23 Ariadne representing Denmark and sH 25 Apache representing Norway. In 1920 she was converted to the new international R-rule of 1919 with racing sail no.8 N14. In 1921 she is again racing in the separate 8mS-Class. In 1925 she is listed under the unified R(1907) and S(1917) Class. In 1935 her sail area was cut back to 70 m2. KNS yacht register 1972 has sH32 "Miranda" with owner Per Gotaas, Oslo. KNS yacht register 1974 - 1984 not found.